I’ve been wanting to make a cauliflower steak with a shawarma blend for the longest time, finally found the time to do it, and it came out just amazing! This is a recipe I’m very stoked to share with all of you and so, here it is! 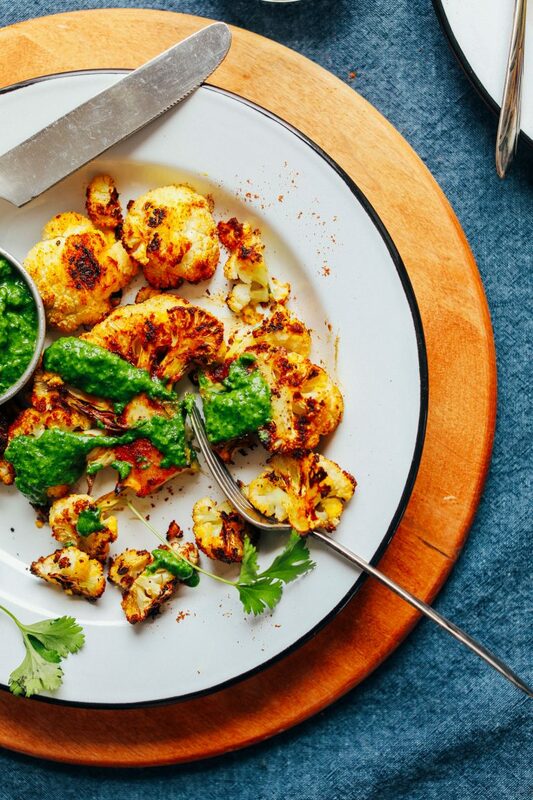 If you have never had cauliflower “steak,” it’s exactly what it sounds like: whole cauliflower sliced vertically and lengthwise into “steak” shapes, well seasoned, and either roasted or grilled (In this case, I went for roasted) until crispy on the outside and tender on the inside. Just as you would any other kind of steak. 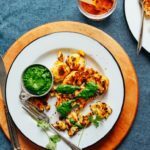 My method here is simple, requiring just around 30 minutes and 10 main ingredients to prepare, which includes the crowd favorite green chutney sauce! Coming to the seasoning needed for the cauliflower, I decided to go with the simple enough to do it yourself Shawarma-ish Spice Blend that is quite smoky. It’s always advisable to have a subtly spicy coating that pairs the steak perfectly with the chutney. I prefer to have this either as a hearty side dish or have it served atop a bed of veggie rice for more protein. [Check out the recipe and the notes for more options.] It could also be paired exceptionally well with a serving of Baked Sweet Potatoes, Garlic based Crispy Chickpeas and Kale Salad, Butternut Squash Soup as a curry, or simply with a classic Chickpea Shawarma Dip. Do give this recipe a shot and if you do, let us know how it came out by Leaving a comment and tagging us on the photo on your Instagram. Cheers, everyone! 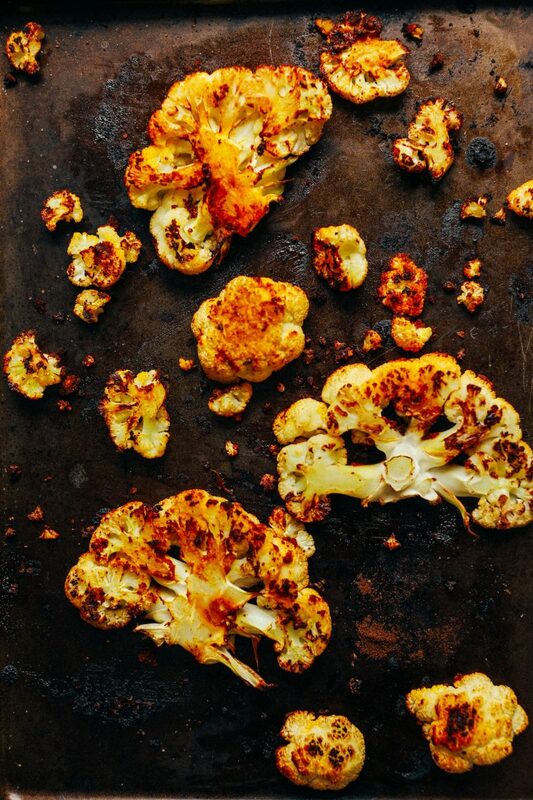 Read next: Roasted Cauliflower Tacos and Adobo Romesco Chipotle! 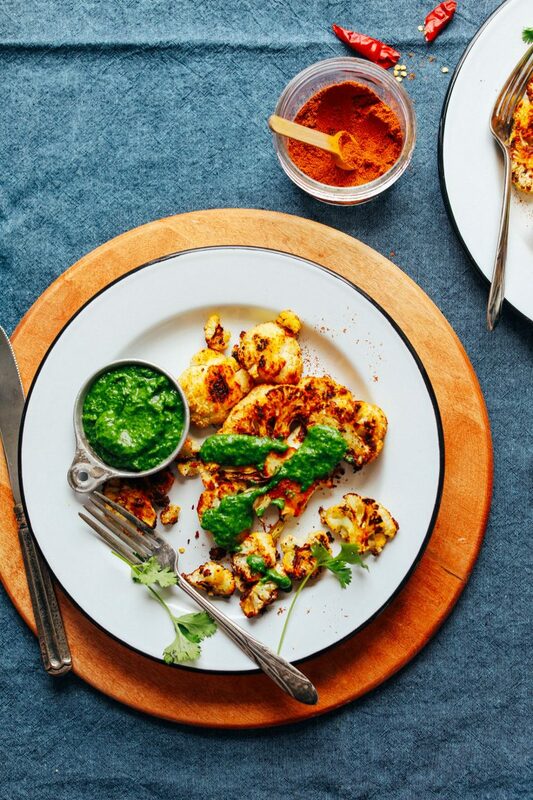 Hearty, 30-minute cauliflower vegetarian steak seasoned with a smoky shawarma spices blend, roasted until tender with a crust, and served with chutney! 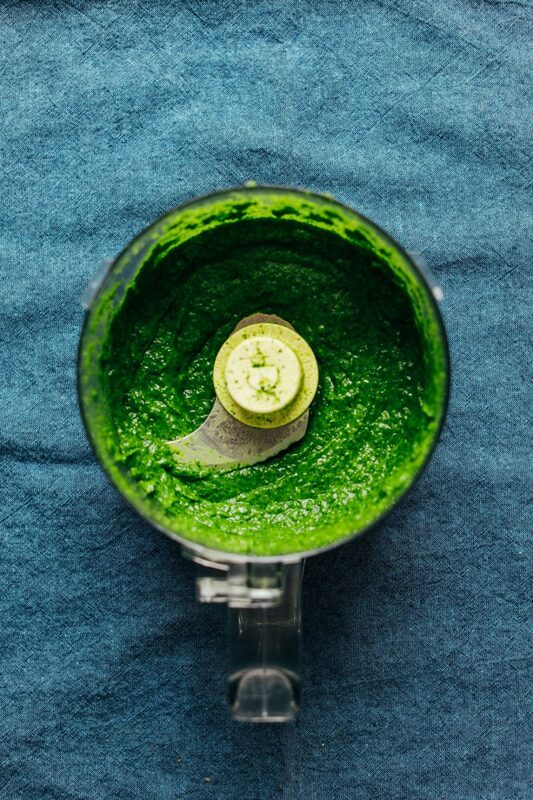 In the meantime, prepare the chutney by adding all ingredients (besides water // avocado is optional) to a food processor or high-speed blender and blend on high to combine, scraping down sides as needed. Then add water until a creamy sauce is formed. *Nutrition information is a rough estimate for 1 of 2 servings with 1/2 of the chutney divided between the servings (you’ll have leftover sauce*).